A kindergarten class in spring 1951. The writer is in the third row, second from left. In 1890, a young woman named Gertrude Horan was pleased to find a teaching position at a brand-new school near Lake Como. Her parents, however, were distressed at the prospect of their daughter working “out in the wilderness,” beyond St. Paul’s western border, populated at the time by a few scattered farm families. Horan’s place of employment was Tilden School, located just east of the state fairgrounds. Today a small neighborhood park occupies its former site at Arona Street and Albany Avenue. For nearly a century, Tilden was where generations of Como area children received their first exposure to formal education. Horan lived in a boarding house in downtown St. Paul and commuted by train to her job, disembarking at the Snelling Avenue station and walking north to the school. Tilden, named for a presidential candidate of 1876, was built in anticipation of population growth in the area, expected to be fueled by hiring at the new Northern Pacific Railroad’s repair shops nearby. However, the real estate boom ended abruptly with a depression that became known as the Panic of 1893. The eight-room school was built to accommodate 325 students, but it opened with only 15 pupils in grades 1 through 4. Older children attended Logan School near Lexington and Hoyt avenues. By 1916, there were 145 students, but conditions for learning may not have been ideal. 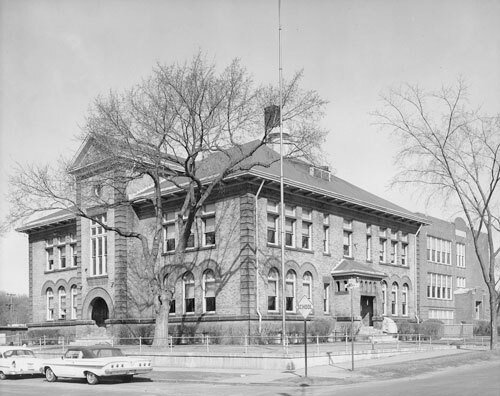 A scathing report by the State Fire Marshall called St. Paul schools firetraps and Tilden was not spared: “On account of the poor installation of furnaces which are old, the floors are black with coal dust, as well as the walls and furniture,” the report said. Outhouses were still being used, although the city was in the process of installing sewer lines by this point. The school had started to fill up with the opening of Thomas Frankson’s new development north of Midway Parkway and by 1924 an addition was needed. By the time the school celebrated its golden jubilee in 1939, there were 441 students enrolled. The end came abruptly for Tilden in 1974, when it was discovered that the building was infested with bats. 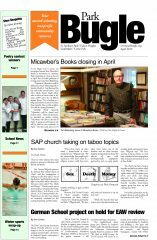 After a child was bitten, district officials decided to close the school immediately. The majority of students were sent to Chelsea Heights Elementary School to the north. Following Tilden’s demolition, the school district sold the land to the City of St. Paul for $1 and the 1.6-acre plot was developed as a park. 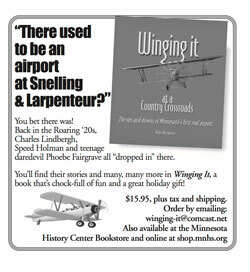 Roger Bergerson writes about local history and community news from his home in Como Park. July 26, 2018 at 12:18 am.07. Tilden was a nice school with kind teachers. 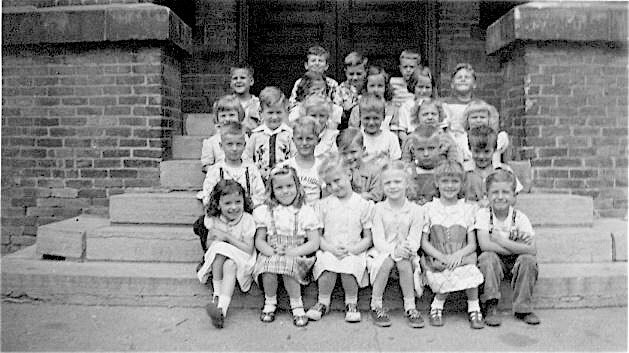 I started Kindergarten there in 1955 and completed 6th grade in 1962. Pat Finger and Janet Lipke, who commented previously, were a couple of my classmates. During some years, the class below ours was split, with half of those students sharing our classroom. I think there were only about 11 girls in my class and as I recall, we ALL participated in Bluebirds and then Campfire Girls. It was nice to have this small community, of school, activities, friendships, and neighborhood. Our grade school friendships got broken up when we went to junior high school. Some went to Como Park Jr. High, and some went to Murray Junior/Senior High. At Murray, I believe they deliberately divided our classmates across at least 5 classes, resulting in 1 or maybe 2 girls from Tilden, per class. My family moved to Milwaukee in 1968, and several years later, when visiting St. Paul, I was sad to see that Tilden was gone. Now I know the story. Rick (above) wrote that It would be great to have a reunion; that would be nice, even though we span several years and may not know each other. March 10, 2018 at 12:18 pm.03. I have such happy memories of Tilden school and was so sad when they had to tear it down. I went to Tilden, K through 6th grade, 1955-1962. Mrs. Barnes was my Kindergarten teacher, too, and I also had Miss Ryan, Miss Parmeter, Mr. Carroll and Miss Mueller. I still remember the two grand staircases that were in the center of the school on the main floor. I sure wish I could find pictures somewhere that show those stairs. They were elegant! Such fond memories after all these years! February 20, 2018 at 12:18 pm.02. Went to kindergarten here. Grades one and two, I think. Mrs Thompson told me I drew the best robin see had ever seen. Born in 1939, so probably attended in 43-44. It was a great place. Attended Cub Scout meetings here. Mr Gamble was cub master. Great man. We carved some ducks out of peach creat ends. Pioneer press wrote an article about us. May 12, 2017 at 12:18 pm.05. April 28, 2017 at 12:18 pm.04. I grew up about 2 blocks from Tilden, I only went there for 2 years, kindergarten and 1st grade (1964-1966), because the Catholic school (Holy Childhood) was too crowded. I remember playing sports on the gravel playground, with an old train-car for the warming house and meeting center. A home run was a ball hit above the 1st floor of the west school wall. We lost many baseballs hit on top of the school. The windows had wire mesh over them to prevent breaking. Spent much of my childhood on that 1 city block. Good memories ! September 14, 2016 at 12:18 pm.09. It would be great to have a reunion some time. I attended there 1962-1968. Let’s talk! August 27, 2016 at 12:18 am.08. Very fond memories of that beautiful school! We had all hoped that the park would be named after the school when they took it down. It was and we were happy about that. For years we had kept a brick from it. Really liked the school! August 20, 2016 at 12:18 am.08. Kindergarten thru 4th grade. It was really nice to see a photo of the school. November 17, 2015 at 12:18 am.11. Thanks for the comment, Terry. Ms. Barnes was my teacher, too. A woman I know, a contemporary, was in kindergarten there the same year as I, yet isn’t in the photo. We’re wondering if Ms. B. had both a morning and afternoon class. November 8, 2015 at 12:18 pm.11. Thanks for the write-up on Tilden and the pictures I was a year behind you. Miss Barnes was my kindergarten teacher in 1952. I remember bringing my skates to school, so there must have been a skating rink on the playground.